PINEVILLE, La. 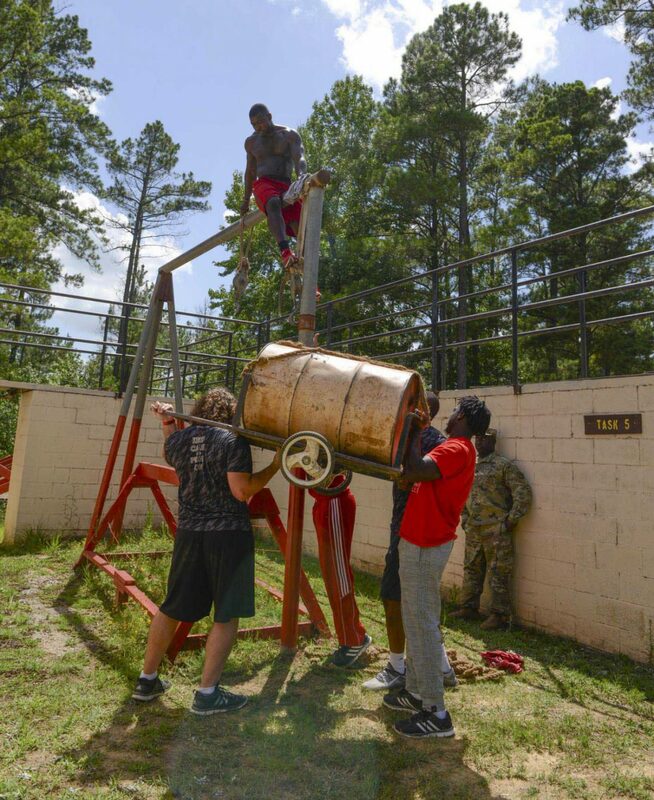 – The Louisiana National Guard’s Recruiting and Retention Command partnered with the University of Louisiana at Lafayette’s football team for a leadership and teamwork exercise at the leadership reaction course at Camp Beauregard in Pineville, July 8. 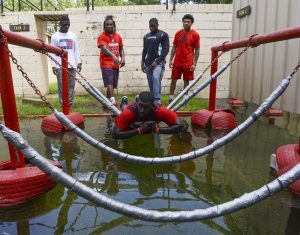 The Ragin’ Cajuns sent 15 seniors to participate in the exercise. “It’s building a community relation. 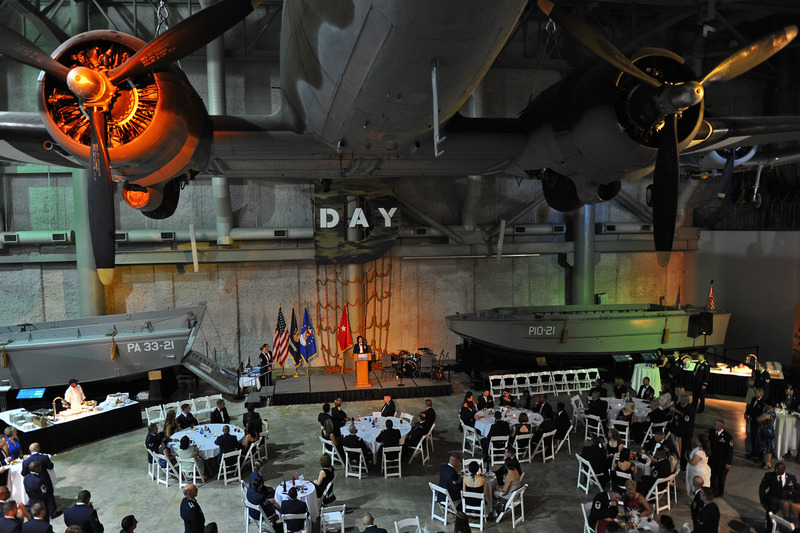 The National Guard is a community-based organization where any time we can interact with, and help out the community, that’s what our mission is,” said Maj. Kurt Talbot, B Company commander, RRC. 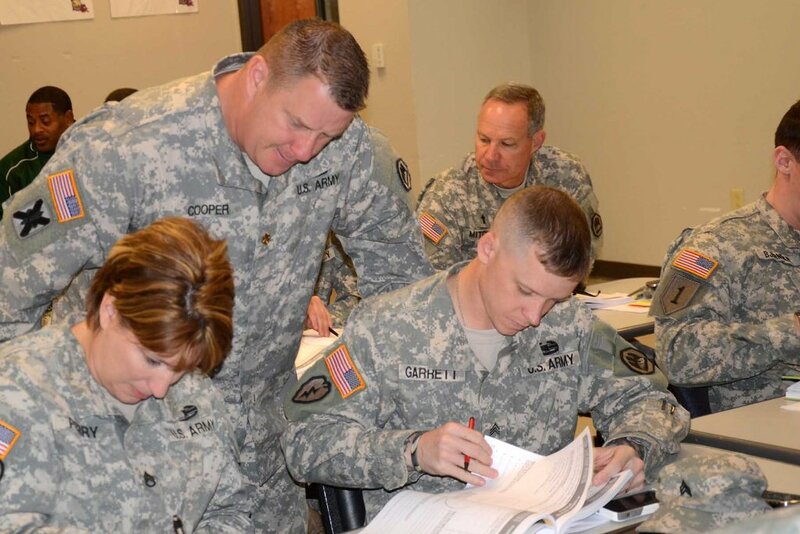 Teamwork and leadership are two key components for serving in the Guard, or on a football team. 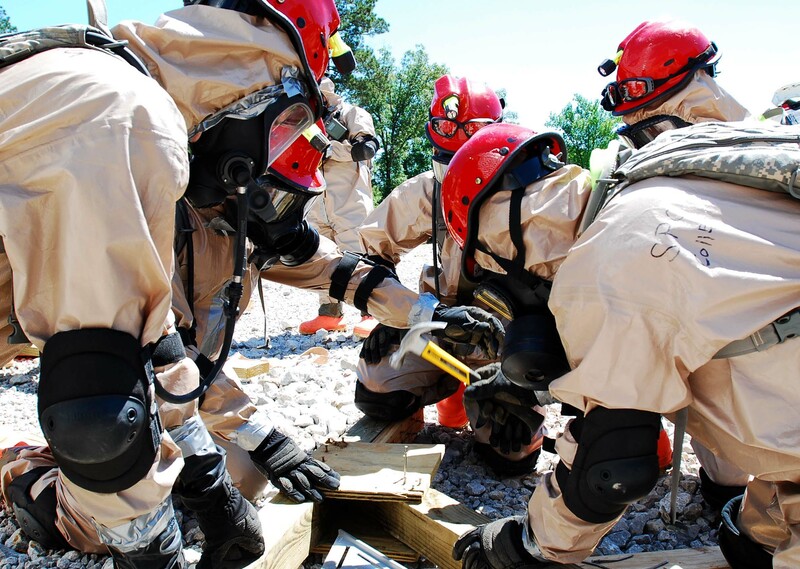 Soldiers must work as a team when in the field or on a mission; the same goes for a football team on the field in a game. But teamwork requires a leader to follow. 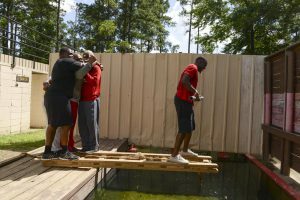 The Ragin’ Cajuns seniors were put through different scenarios that tested their problem solving skills. 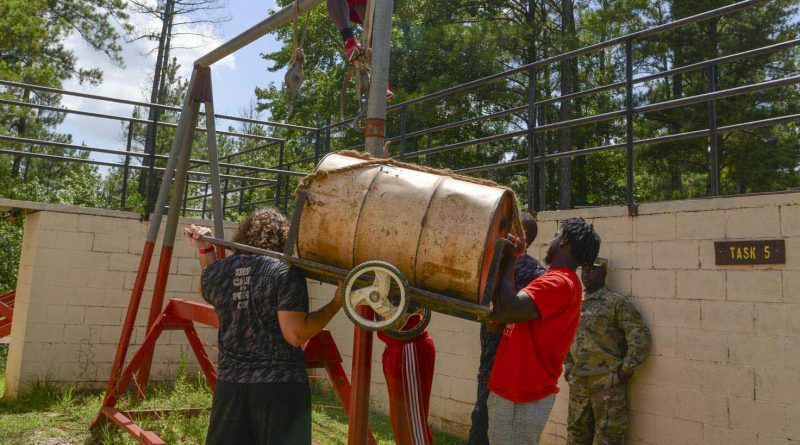 The football players had to figure out how to escape a prisoner of war camp, how to move supplies across a water feature and how to build a bridge while getting the whole team and all of their supplies across a water feature. The UL football department said they hope to make this a yearly event for not only the senior players, but possibly the whole team.